tvN Asia’s brand-new original production in 2018 – Get It Beauty On The Road is to premiere on 10 July (Tuesday) at 18:30 (GMT+8). Audience is expected to receive practical K-beauty tips from show hosts Korean fashion and beauty icon, Sandara Park; up-and-coming actresses in Singapore Chantalle Ng and Tay Ying, as well as beauty experts from Korea. K-beauty has been a global trend and especially popular among Asian females, however, with the climate difference between South Korea and other Asian countries, it is impossible to apply the K-techniques directly. Get It Beauty On The Road is here to answer the prayers of all the Asian girls, in particular in Southeast Asia where the weather is always hot and humid. 2) melting eye-make up that turns them into panda. They are going to teach some quick fixes and secrets to the Korean natural moisturizing look with unnoticeable concealer. Apart from learning about the products for different skin types, audience will be able to dive into the personal beauty bags of the hosts, as well as learn from popular Korean make-up artist Kim Ki-soo. He will demonstrate an evening look for outdoor red-carpet event under the humid weather and teach audience special techniques to avoid cakey foundation or melting make-up. Watch Get It Beauty On The Road to catch all the unique tips! 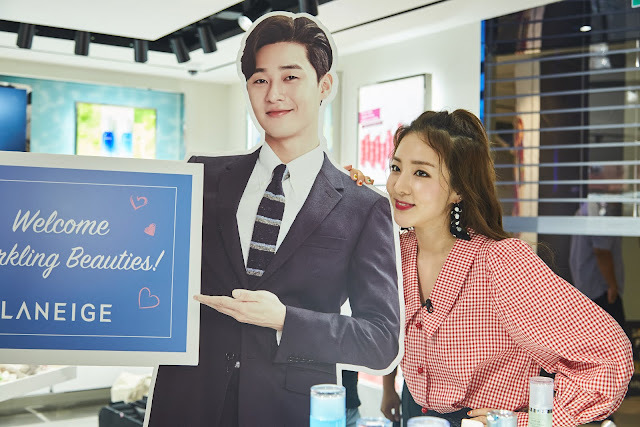 Get It Beauty On The Road is a co-production between CJ E&M HK and StarHub TV, and adapts the winning format of popular Korean beauty programme, Get It Beauty, by exploring K-beauty products. To add diversity to the show, it moves the shooting site outside of a studio to different places in Singapore. Get It Beauty On The Road will premiere on 10 July 2018 (Every Tuesday) at 18:30 on tvN in Asia. The 4-episode series will be conducted in Mandarin, Korean and English and paired with subtitles in English, Chinese, Bahasa Malaysia, Bahasa Indonesia and Thai. tvN is available in Hong Kong, Singapore, Taiwan, Malaysia, the Philippines, Thailand, Indonesia, Myanmar and Sri Lanka. tvN, where fun takes off!